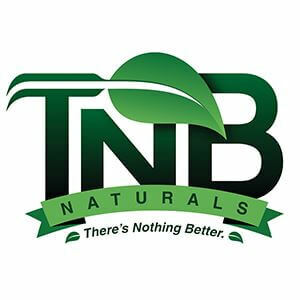 Takeaway: TNB Naturals develops safe, all-natural products that are both highly effective and environmentally friendly at the same time. Josh Brazier shares the company’s Reduce, Reuse, Refill ideology, and how their flagship product—The Enhancer—can be called the ultimate green product, right down to its packaging. Tell us a bit about how your company got started. Several years ago, longtime gardener Travis Rypkema created The Enhancer CO2 dispersal canister after trying several other natural CO2 products on the market. The Enhancer was developed in his spare time from his full-time job at the local lumber mill of a town in the Okanagan Valley region of British Columbia, Canada. Once Travis had the first version of what is now known as The Enhancer, he enlisted my help to expand the product’s presence. The two of us formed TNB Naturals Inc. together in 2013. Tell us about your premier product, The Enhancer. The Enhancer is a highly effective, user-activated CO2 canister that delivers a high rate of CO2, comparable to a costly CO2 system. The Enhancer’s unique features include its ability to slow the release of CO2 during the night cycle, improving overall plant health and final yield. The Enhancer has a three-year shelf life and generates some of the highest ppms in the all-natural category of CO2 products. In a 12x12-foot growroom, gardeners can expect to hit anywhere between 1,200 and 1,500 ppm, depending on their set-up, for up to three weeks. On top of this, The Enhancer is made from a combination of all-natural, biodegradable ingredients and it’s packaged in a recyclable bottle—in fact, when we were first starting out, we were actually using recycled bottles. As much as 40% of all household waste is typically made up of plastic from packaging, containers and other items. We think all manufacturers need to be sensitive to this issue and do all they can to reduce environmentally harmful packaging. To this end, TNB has been using a plastic container that can be recycled. This is much more beneficial to the environment than using propane or natural gas. You recently introduced a refill pack for The Enhancer. How does that make your product even greener? With the introduction of the refill pack, we have discovered a way to not only cut down on packaging, shipping and possible waste, but also reduce the impact on the environment at the same time. An added bonus is that we can offer this greener product at a reduced cost to the consumer. What innovative ideas do you implement for running a green business? We follow the Reduce, Reuse, Refill ideology when it comes to manufacturing our products. The refill packs represent a major step forward in logistical efficiency and forward-thinking packaging. We plan to continue to work towards developing products with lower environmental impacts, products that are both convenient to use and that reduce household waste. We hope that customers will co-operate with us in these efforts through the use of these refill packs. What do you do to reduce your company’s carbon footprint? We began making the easiest changes first. Similar to most businesses, energy use is only second to travel as the largest portion of a company’s carbon footprint. With that in mind, we made some simple changes around the office, like turning off and unplugging electronics when not in use. To make things simple, we plugged our computers, printers and fax machines into a single power bar. We turn those power bars off when we leave for the day, further decreasing our utility bill and impact on the environment. We also turn down our thermostat at night and on weekends, as well as keep the air conditioning set lower, except for the hottest part of the summer. Just recently, we installed LED lights throughout our facility and offices to further reduce our energy consumption and thus, our carbon footprint. By reducing waste, we create efficiencies and reduce costs, which allows us to pass savings on to customers. Finally, we continually pursue simplification in the materials we use to make our packaging, ensuring they can be recycled. As more consumers recognize and participate in recycling, there will be less litter, less waste sent to disposal, less use of virgin materials and potential savings in greenhouse gas emissions. While we’re really excited about the introduction of the refill packs, we’ve actually released a few additional products in the meantime, first and foremost, the highly anticipated Enricher, an all-natural plant booster and corrective supplement that can be used from the first day of vegetation to the last two weeks of flower. It promotes bigger yields, greener plants and bigger buds while improving flavor, overall plant health and resin production. We’ve also brought a new pair of lightweight trimming shears to the market with a re-enforced spring and soft rubber grips that cushion the hand. Further variations will be introduced throughout the year. Finally, we most recently released of our very own CO2 Monitor and Thermo Hygrometer, which are both available now. 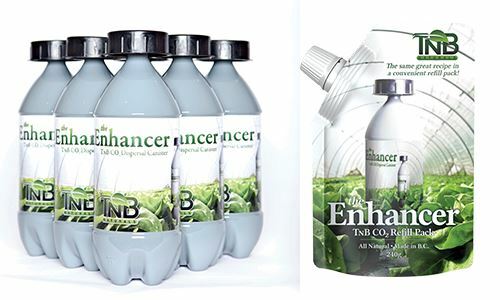 In addition, we are currently exploring the feasibility of marketing several new products under the TNB brand. Throughout the research and development stage, emphasis will continue to be on using materials that have a lower environmental impact.